Email subscriptions should also include this same theme or plugin name in the topic title. 2016.diff​ (13.0 KB) - added by dd32 3 months ago. #2168 was marked as a duplicate. #2271 was marked as a duplicate. #2382 was marked as a duplicate. +1 for this feature. 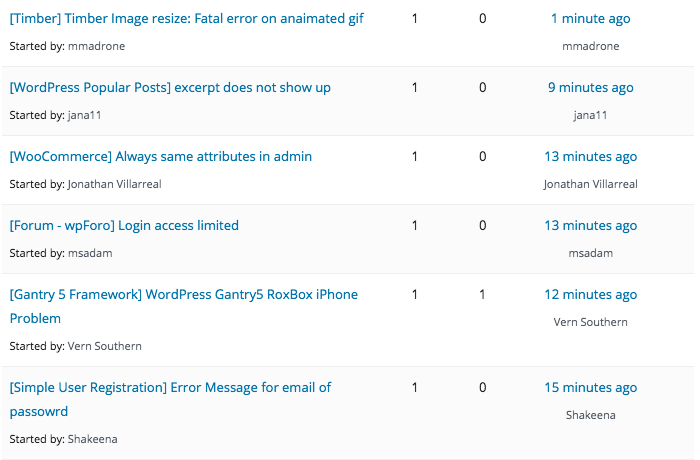 As this is very handy to identify the plugin/theme and help support reps/ developers/ authors to create a context. This sounds like something that should be done, it'll make managing support for plugins much easier. I've spent a little time working on this today, I think 2016.diff​ is the best way to achieve this. I still need to test further, look at topic-subscriptions (instead of just testing with plugins) and possibly update the text within the body of the notification as needed ("Subscribed to a plugin" vs "Subscribed to Hello Dolly"). [WordPress.org] [Hello Dolly] I love this plugin! 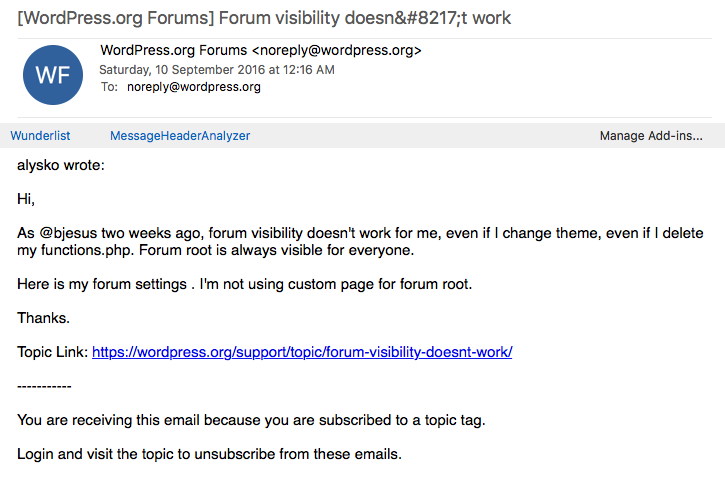 Support Forums: Prefix notifications from the Plugin/Theme forums with the plugin name. For example: [WordPress.org] [Example Plugin Name] Example Topic Title.